Our Central Valley has interesting events coming up. Do you have a game-changing idea that you’re dying to develop? 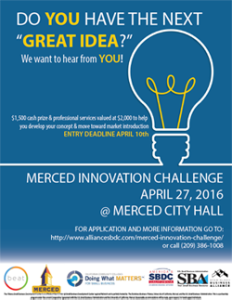 The 2016 Merced Innovation Challenge could be your big break! 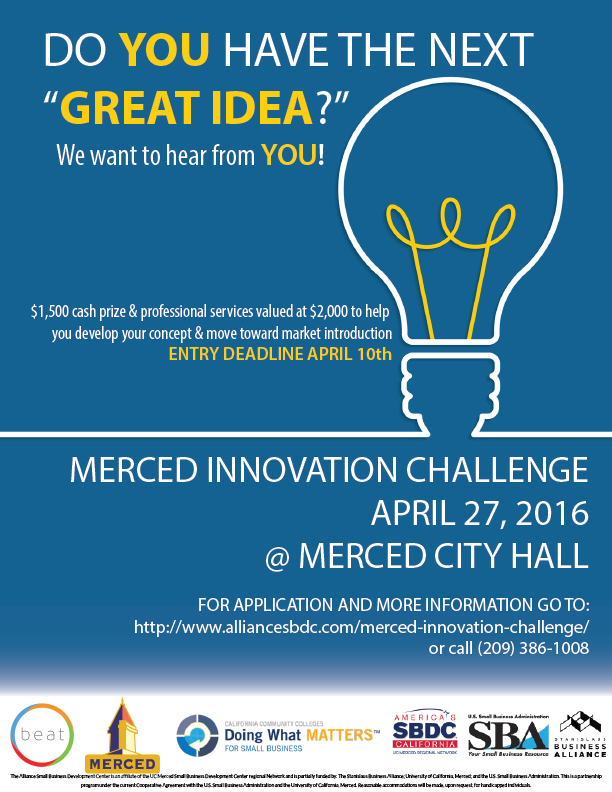 Submit a proposal for your innovative product or idea by April 10th to the Challenge, and you will be given the opportunity to pitch it to an experienced panel of experts on the 27th. According to the Challenge’s hosts, if the panel and audience like what they see, a winner could be awarded a cash prize and professional services to help jump start a business plan. The law firm of Sullivan, Workman & Dee wishes you the best of luck!